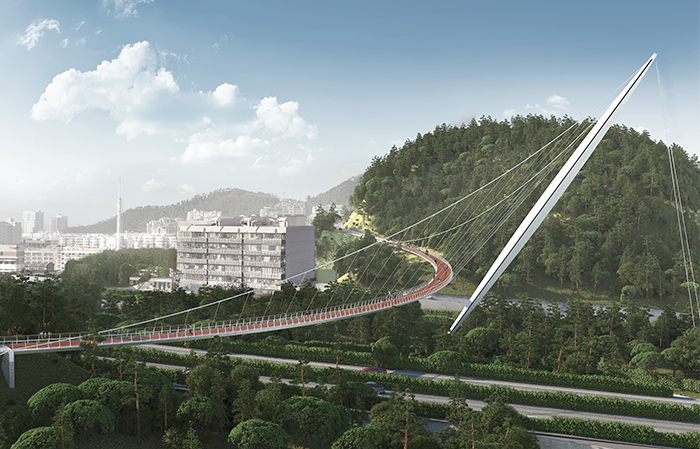 A year after the opening of the world’s longest bicycle bridge in Xiamen, the Danish architecture firm Dissing+Weitling has won yet another large-scale infrastructure project in the Chinese city. 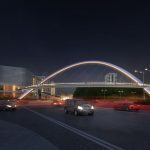 A 20-kilometre network of footpaths and no less than seven spectacular footbridges will create outstanding experiences for the city’s pedestrians in the exchange between bustling urban life and luscious nature. 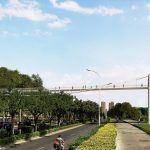 Last year, under extensive media coverage, the City of Xiamen opened the world’s longest bicycle bridge – Xiamen Bicycle Skyway – with the ambition to improve conditions for cyclists in the hectic Chinese traffic. Once again, Xiamen has chosen to focus on improving conditions for soft road users – this time the pedestrians. 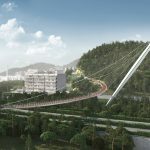 The city’s vision is to create a large-scale network of footpaths, elevated footpaths and footbridges, which will lead residents and visitors through the mountainous landscape of Xiamen and connect city and nature. 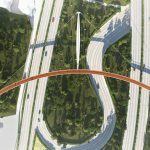 The proposal from world-leading Danish bridge architects Dissing+Weitling was recently chosen as the winner in an international design competition to envision the ambitious project. Xiamen is a modern metropolis with a pulsating city-life and a hectic industrial port situated on a mountainous island with a luscious vegetation supported by a mild climate. 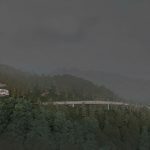 The network of footpaths will bring the city’s residents and visitors into the mountains and connect the vibrant cityscape with the peaceful landscape. 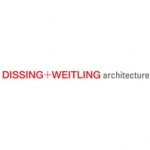 For this reason, one of Dissing+Weitling’s biggest challenges in designing the project was to create a coherent yet flexible design language that would be able to adapt to the different contexts. 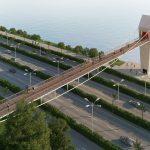 ”The 20-kilometre route creates a new connection between city and nature – a system of elevated footpaths and footbridges that run through the city and across the island as a scenic, recreational artery. 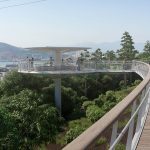 It will be a major attraction for the city and possibly become an icon for Xiamen that can attract tourists from all over the world,” says Steen Savery Trojaborg, partner and CEO at Dissing+Weitling, and continues: “Seven unique footbridges appear as beacons in the landscape and create a link between parks, forests and viewpoints. A leisurely route filled with scenic experiences that brings people out into the nature while affecting the unique flora and fauna as little as possible. It will be a fascinating experience to walk among the treetops and see the city and landscape unfold from a new perspective”. 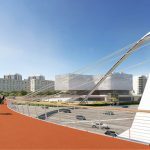 Winning yet another infrastructure project in Xiamen, Dissing+Weitling continues their momentum in the Chinese city after the opening of Xiamen Bicycle Skyway in 2017. In close cooperation with local authorities, the winning proposal is currently being further developed and adapted to the city’s wishes. The comprehensive project has been named Xiamen Footpaths, and is expected to be completed already next year. 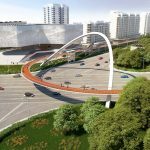 “Once again, Xiamen manifests its ambitions in regards to sustainable infrastructure with an incredibly ambitious project, which both functionally and aesthetically will set new standards for green mobility and recreational experiences in cities all over the world,” ends Steen Savery Trojaborg.